If you’re struggling with addiction, stigma is probably on your mind in some way. You may worry what people will think of you or what they’ll say when you’re not around. As much as we’d all like to believe we don’t care what others say, it’s a part of human nature. You may be able to handle criticisms when you’re on top of the world, but it’s always a bit harder when you’re already in a vulnerable state. Addiction can put anyone in a vulnerable place. There are all kinds of stigmas, and you can bet that none of them are good. Stigma is a set of negative beliefs that society tends to bestow on a set of people or subject matter. As a result of a stigma, people may say or believe disparaging things about an addict. People may shame or discriminate against others. The most frustrating part about stigma fueled views is that they are almost never based in fact. They are almost always based on antiquated notions or false assumptions on complex matters. Many people believe that addicts have chosen drugs over productive things like a job or family. But if you’re struggling with addiction, you know that isn’t the case. People may say things like, “I don’t feel sorry for that person because they did it to themselves.” And while no one needs pity, the stigmatic statement is based entirely on false beliefs. We may be able to handle this type of attitude from strangers, but the most problematic stigma comes from the people we love. Whether we’re talking about addiction or STIs, stigma is so powerful that it often keeps people from getting help. The real danger of stigma is that it leads to shame. The person dealing with the problem is left plagued with shame. And they’d rather hide the problem than admit it. Shame doesn’t solve anything. Some people mistakenly think they can shame an addict into stopping their behavior. But unfortunately, once they’re addicted, it’s almost impossible for them to stop on their own. So all shame does is keep the addict from admitting their problem. According to the NSDUH, about 21.5 million adults over the age of 12 experienced a substance abuse disorder in 2014. Within that year, only 2.5 million received treatment. Addiction is a disease. Being ashamed of addiction is like being ashamed of diabetes. You may have made a choice to use the substance in the first place, but you’re not the only one. Anyone who has ever used drugs or alcohol has no grounds for judgment. They could have just as easily become addicted. They may believe it’s about control, but addiction is not within anyone’s control. 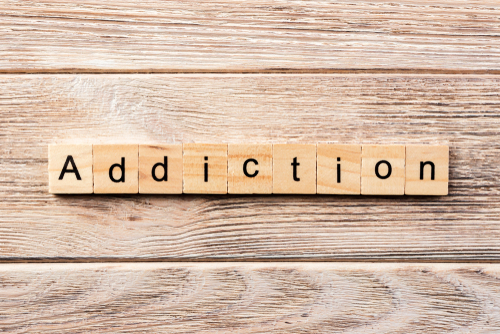 Whether or not you become addicted has to do with a number of factors. Genetics, family history, demographics, mental health, and previous trauma are all things that play a role in your likelihood of becoming addicted. You can use the same drug at the same frequency and in the same quantity as a friend, but you get addicted and they don’t. It’s not exactly a matter of chance, but it may as well be. None of us can know exactly when addiction will take hold. And it’s too late to stop when it does. Even if your loved ones currently subscribe to the addiction stigma, they only want what’s best for you. If you’re addicted, there’s a chance your friends and family already know. Start by talking about your problem and how to find drug addiction treatment centers like Detoxlocal in your area. That’s the important part. Then, you can address the stigma through education. This paper by the Drug Policy Alliance is a good start to provide education about addiction and why its stigma is false and harmful.